I ignored the update because I thought it was self-evidently ridiculous and that no sensible person would believe it. But I am writing on the issue this week for two reasons. First, during Ramadan, I strive to, whenever I can, write columns that resonate with the spirit and mood of the month. Second, the man’s location in the UK, the birthplace of the English language, appears to have conferred unearned credibility on his claim because several people keep asking me to shed light on it. Well, the short answer is that the etymology is entirely false. It has no basis in linguistic and historical evidence, as I’ll show shortly. 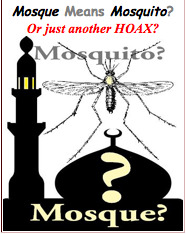 But why and how did the notion that “mosque” is a derivate of “mosquito” emerge? From my research, it seems likely that it was invented—or at least popularized—by an American Muslim convert by the name of Yahiya Emerick who wrote a book in 2011 titled The Complete Idiot's Guide to Understanding Islam. This isn’t even folk etymology; it’s straight-up false etymology. The truth is that “mosque” is actually derived from the Arabic masjid, which literally means place of prostration, where “ma” means “place” “sujud” means “prostration,” that is, worship. When the word first appeared in English in the 1400s, it was rendered as moseak or muskey. By the 16th century, the spelling mutated to mosquee. Etymologists date the current spelling, mosque, to the year 1717. Like most English words of Arabic origin, “mosque” came to English via Middle French, where the word was rendered as mosquée. (The French conquered and colonized England for more than 300 years, which explains why there is so much French influence in the English language). 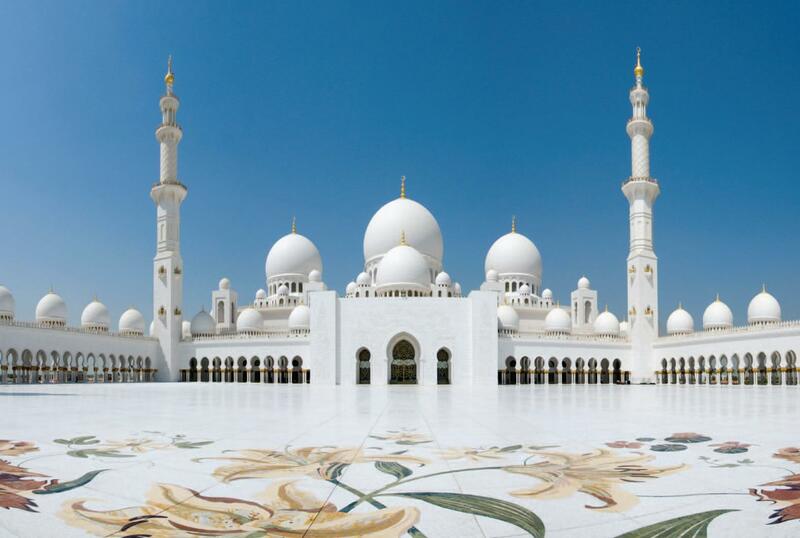 However, it wasn’t the French who first domesticated masjid to some version of mosque. That credit goes to the Spanish who first adapted it as mesquite, according to the Chambers’s Etymological Dictionary of the English Language. (Modern Spanish speakers now call masjid mezquita). So by what morphological logic did masjid transmute into mesquite and later mezquita? Here is how. It’s actually as a consequence of a concatenation of Spanish and Italian morphological influences. Interestingly, Italian and Spanish are mutually intelligible cognate languages that descended from Vulgar Latin, that is, vernacular Latin, as opposed to Classical Latin, which is, for all practical purposes, dead now. It’s obvious that the “mez” (in mezquita) is phonologically similar to the “mas” in masjid since, in any case, “a” in Arabic often parallels “e” in Spanish and other Latin-derived languages. Now let’s account for the hard “k” sound after “mas.” You see, there is no “j” sound in Spanish. That was the first thing I learned about Spanish when I relocated to the US more than a decade ago. Even when “j” appears in written Spanish, it’s never pronounced. Jesus, for instance, is pronounced “esus.” I called one of my Spanish students named Jesus the way I would say Jesus in English, and everyone in the class let out a belly laugh. I didn’t realize that almost every educated person in the US knows that “j” is always silent in Spanish. That experience gave me an insight into why the Spanish-speaking people I’d interacted with couldn’t say simple English words like “jump,” “just,” “jet,” etc. So when the Spanish borrow words from other languages that have the “j” sound, they almost always replace the “j” sound with something else. When they borrow from Arabic (and they borrowed a lot), they often either replace the “j” sound in Arabic with a “ch” sound or with a “kh” sound, that is, the deep guttural sound that makes you feel like you are discharging mucus from the lungs and out of the mouth. (Most Nigerian languages, apart from some Edo languages, don’t have the “kh” guttural sound, which explains why most Nigerians who have no Arabic education pronounce the first sounds in names like Khalid and Khadija like “k,” which is wrong. To pronounce the names correctly, say the “kh” as if you were clearing your throat. Be careful, though; you might choke!). Spanish chose to replace the “j” in masjid with the guttural “kh” sound, which later evolved to a hard “k” sound, often represented by the letters “q” and “c” in Spanish. A Muslim linguist by the name of Abu Aisha, writing for the MuslimSpeak website, gave many examples of Spanish words of Arabic origin that followed that morphological pattern. Now let’s account for the “t” in the Spanish and Italian rendering of masjid. When Italian borrows words from other languages, especially Arabic, that end with a “d,” it almost always changes the “d” sound to a “t” sound. That’s why Muhammad is rendered as “Maometto” in Italian, which came to English as “Mahomet” by way of French, where it was also rendered as Mahomet. In Classical Latin, (from where Italian, Spanish, French, Portuguese, and other “Romance languages” evolved), it is rendered as Mahometus. Until relatively recently, the prophet of Islam was known as Mahomet in English. For instance, the English translation of Jacques Casanova de Seingalt’s rendering of the shahada in the 1700s was, "I have had to say that God is God, and that Mahomet is the prophet." So the “d” in masjid became a “t” in Latin-derived languages. It was later dropped in French and came to English in that form. On the other hand, “mosquito” is an original Spanish word, derived, of course, from Latin, its parent language. It is the diminutive form of “mosca,” which means insect. (A diminutive is a suffix that is added to a word to indicate its smallness. Example: the “let” in booklet indicates that it’s a small book.) So mosquito in Spanish simply means small mosca (it’s musca in Classical Latin). It has no etymological kinship with mosque whatsoever. Mosque and mosquito are therefore false cognates, as linguists call similar-sounding words that appear to be related but that are actually completely unrelated. Linguistic evidence apart, historical evidence shows that in the hundreds of years that Muslims ruled Spain, Spanish-speaking Muslims called their masjids mesquite, that is, before the Christian conquest of the country. Mesquite even appears in the surviving samples of the writings of Muslim Spaniards. It makes no chronological sense for an event that allegedly happened in the 15th century to retroactively apply to linguistic practices that predated the event by hundreds of years. Most importantly, though, Spanish Muslims would never knowingly use mesquite to refer to their place of worship if the word were indeed pejorative. Of course, it is entirely legitimate to prefer the word masjid to the word mosque even in English communication. After all, masjid has now, in fact, been accepted as an Arabic loan in English. It is never underlined as a foreign word even by the pesky Microsoft Word dictionary, and has entries in most reputable dictionaries. But the choice to use masjid instead of mosque shouldn’t be founded on conspiratorial ignorance. Mosque traces lexical descent from masjid, and the two words are now synonyms.